When you think of a cottage, you typically think of a modest dwelling. But, modest can still be elegant and luxurious as well. Our cottage doors transport you to a simpler time. You will find that many of Doors by Decora’s cottage doors are a fundamental part of our Craftsman Collection. 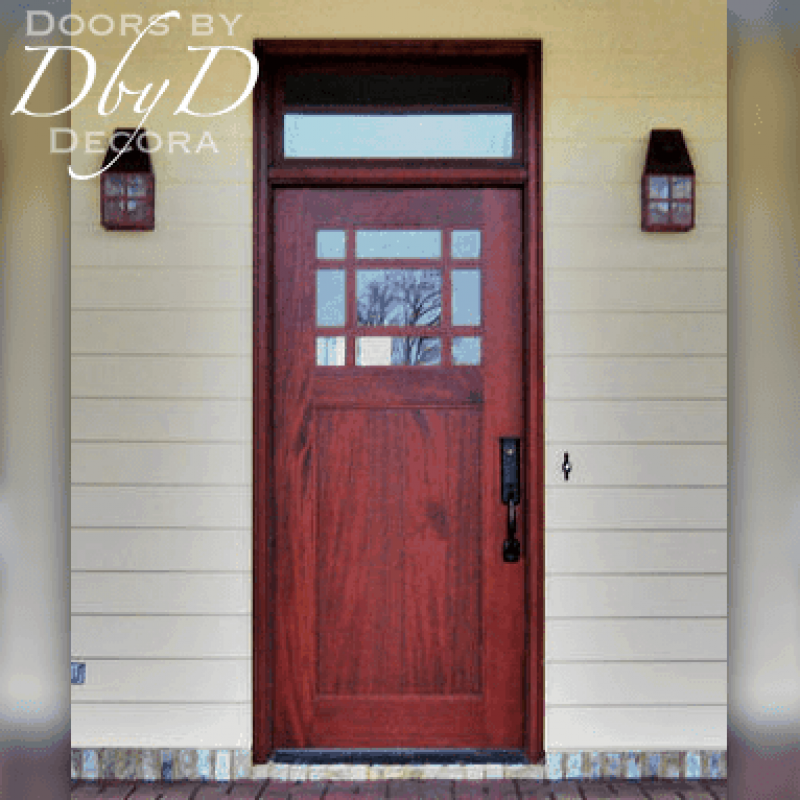 Therefore these doors feature design elements found on the same types of doors that you would expect to find on traditional craftsman cottage homes. 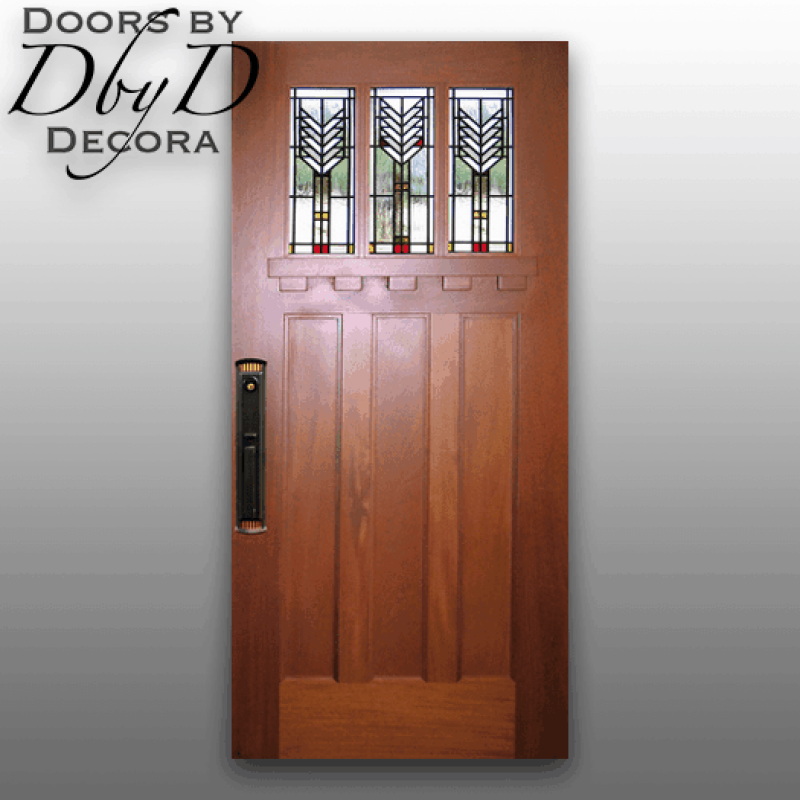 Many of our doors feature stained glass designs inspired from traditional craftsman designs. They can be simple doors or done on a grander scale, but they always embody elegance and clean lines. 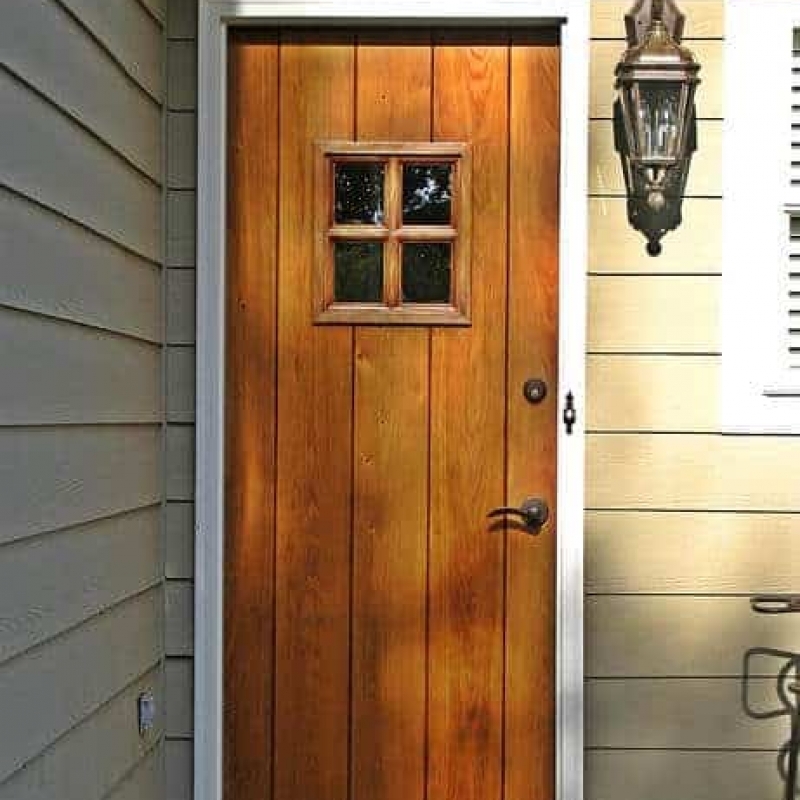 You will see a few of our favorite cottage doors below or you can view All Craftsman Doors. We use many design elements on our doors so they look just like they came off an charming craftsman cottage. 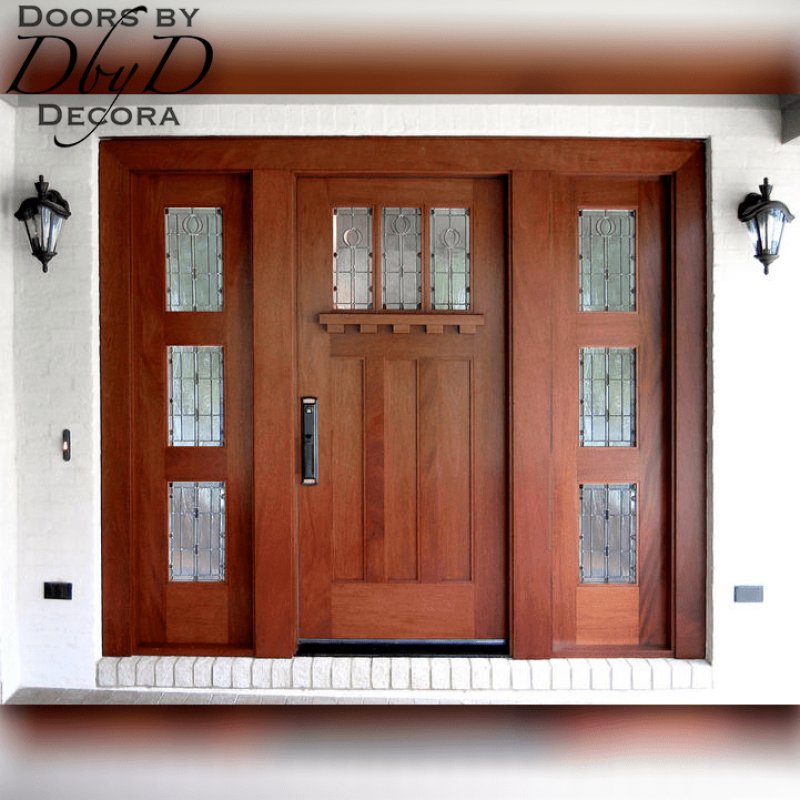 To achieve that look, many of our craftsman doors are designed with true divided lights or TDL. These windows are comprised of many small square pieces of glass divided by wood pieces. As a result, you can achieve the same look found on many cottages. If you want a more elegant look, we can add a beveled edge to the glass to give it even more sparkle and shine. 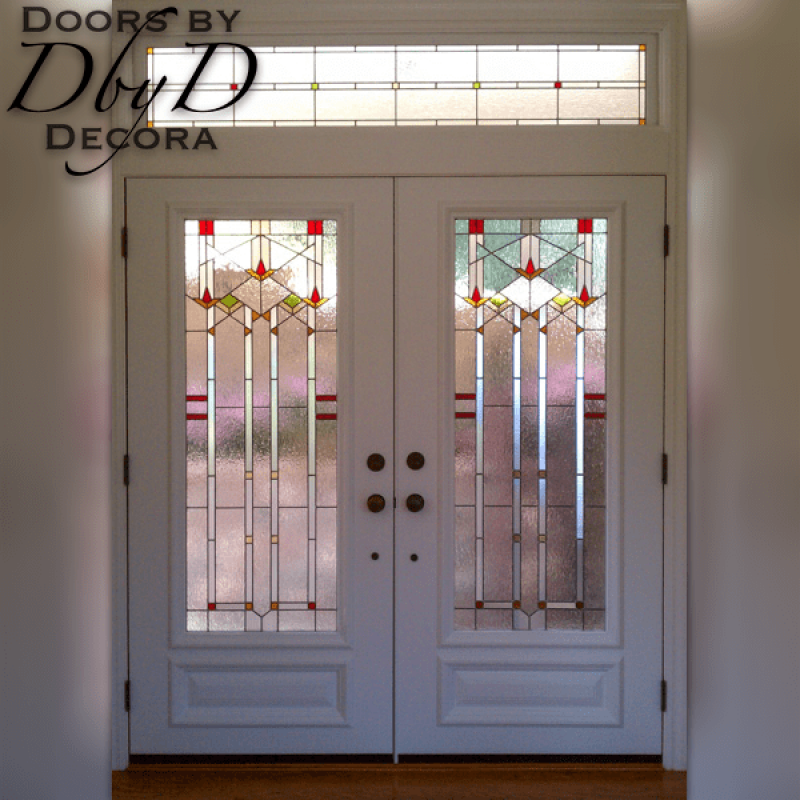 We are also able to add stained glass windows to all of our cottage doors. We can help you design a simple window containing just beveled glass designs, or a more intricate look with colors added to the design. 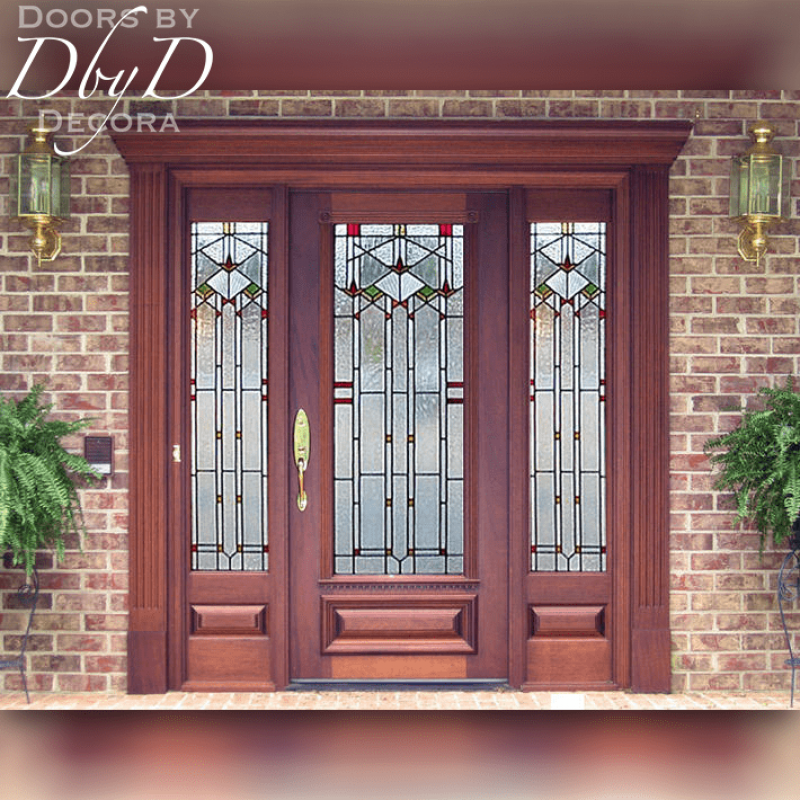 Our stained glass artisans can custom design and build the perfect look for your style. You will see examples of many of these details in the doors below, or you can view all of our Craftsman Doors.